TV Makes You Kill in "The Signal"
The Signal is an upcoming flick (Feb 2008) about a TV signal that gives you "the crazy" and makes you murder people in creative ways that Hostel director Eli Roth could only dream of. Directed by three different people working in the low-budget, buckets-of-ironic-blood style popularized by Roth, The Signal follows in the footsteps of movies like David Cronenberg's memorable Videodrome, and the please-can-we-forget movie Pulse, both of which wonder what would happen if mass media signals from TV, computers, and cell phones started reprogramming our brains and turning us into mindless killers. (Or mindless sexual submissives who want to be killed, in the case of Videodrome, which has an amazing scene with Deborah Harry and a hat pin.) The Signal got rave reviews earlier this year at Sundance, and it looks to be a stylish shocker with a healthy dose of social satire. Jump below the fold for a peek at the trailer. 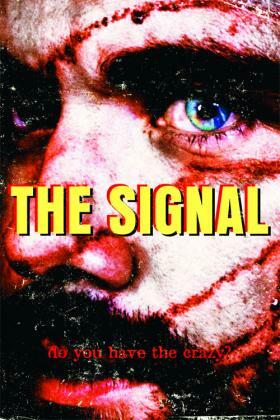 Also The Signal has the best tagline ever: Do You Have the Crazy? I want that on a t-shirt.